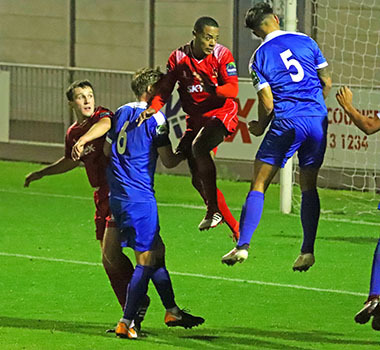 The euphoria of the previous weekend's high scoring success was ruthlessly extinguished as Northwood suffered a second-half collapse against West London rivals Hayes & Yeading United. 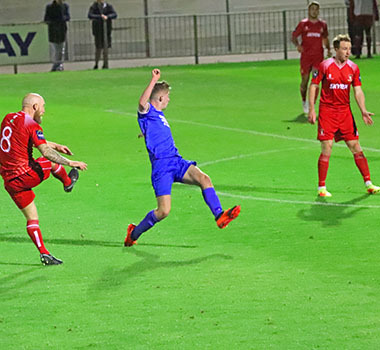 Things had looked good for Woods as they more than matched their highly fancied opponents until the conceding of an unfortunate own goal shortly before the break and being reduced to ten men early in the second half, dramatically changed the course of the contest. 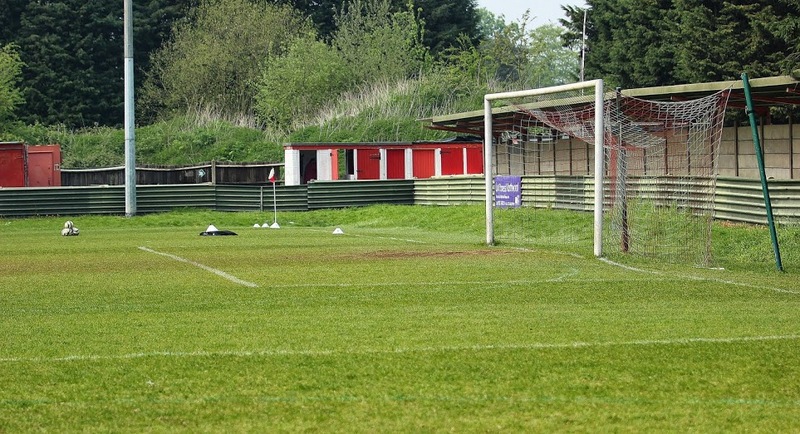 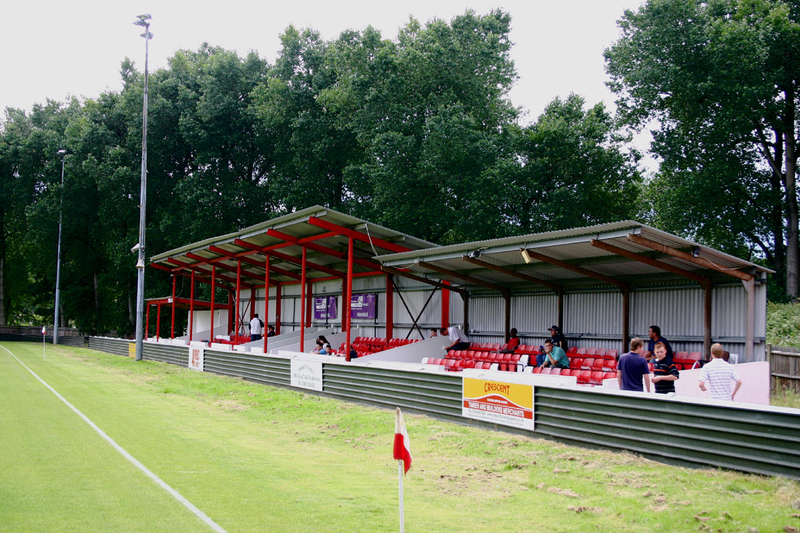 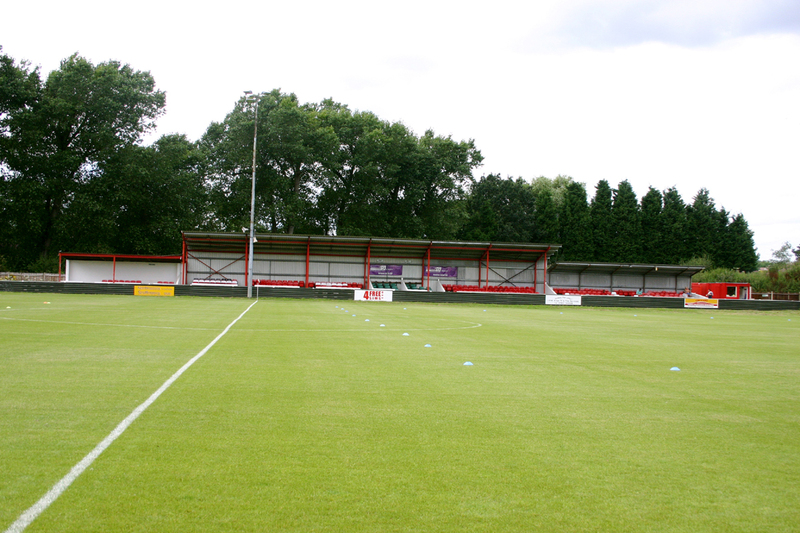 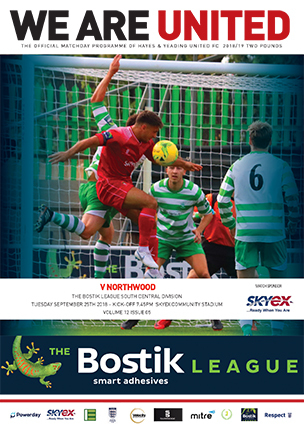 Northwood were forced into changes with striker Ned Clarke missing through illness, which meant James Ewington would plough a lone furrow up front, while Hakim Nyariki and Chris Gosling returned to a midfield missing Wilson Chingoka who is expected to sign for Bostik Premier Lewes this week. 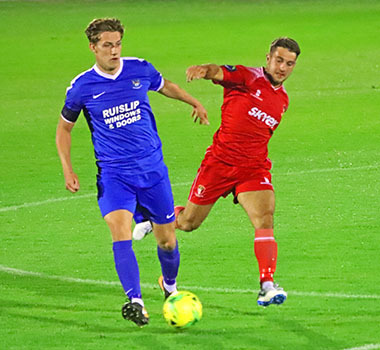 At the back, Sam Tring returned in place of Jack Gibbs, whose absence betrayed the vagaries of the dual registration system when a player is recalled by the parent club at short notice and the disruption this causes. 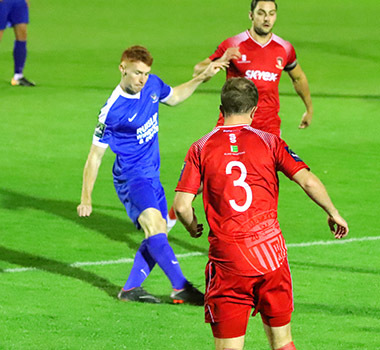 However, Woods were quickly into their stride on an excellent playing surface and James Ewington almost capitalised on a Sam Jenkins through-ball but was crowded out by the home defence. 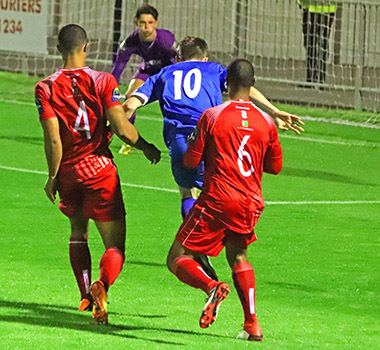 After a stop, start passage of play, Northwood pressed again with Gosling seeing his shot from the edge of the box saved by goalkeeper Jack Smith after good work from Matt Cooper. 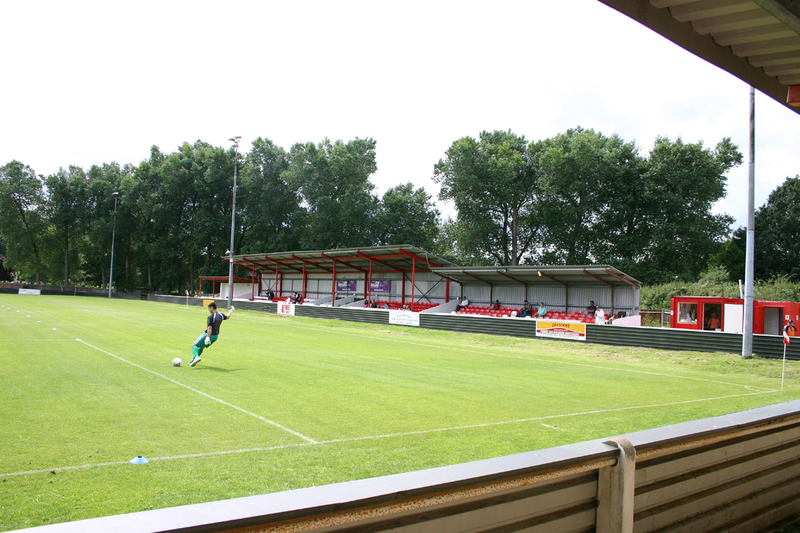 The hosts threatened after Woods struggled to clear the ball from the danger area, Toby Little sending a shot fizzing past the far upright, while at the other end, a swift counter-attack ended with Ferguson seeing his low shot turned round the post by Smith. 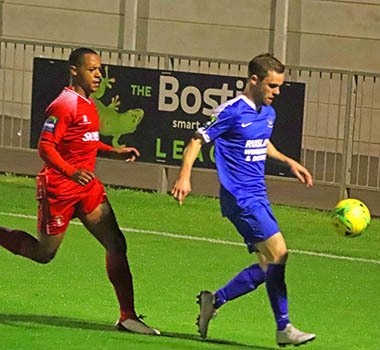 The contest had settled into a nice rhythm with neat, incisive football from both teams, Ewington almost on the end of a Jorome Slew cross after Duncan Culley shot narrowly wide for United. 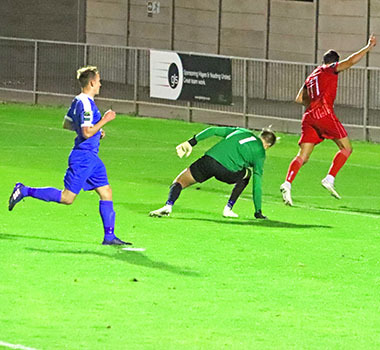 But the deadlock was broken on 38 minutes in unfortunate circumstances for Northwood as a breakdown in communication caused Carl Pearce to deflect Hassan Jalloh's innocuous looking cross past keeper Luke Sheldrick. 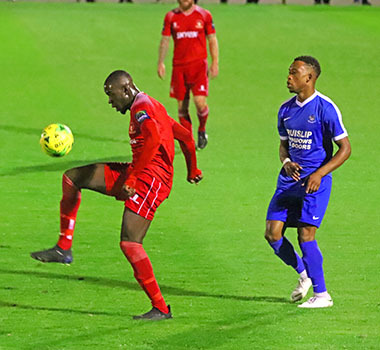 Buoyed by the opening goal, the hosts went close to adding a second before the half-time break when Jalloh's snapshot narrowly cleared the bar. 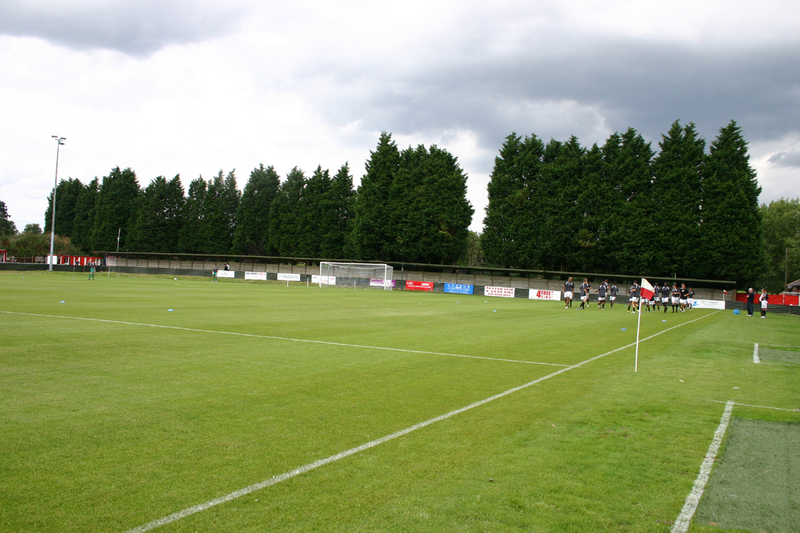 Northwood were soon on the offensive following the restart and forced a corner from which Keir Dickson's cross found the head of Tring, but he was unable to get the necessary connection to trouble keeper Smith. 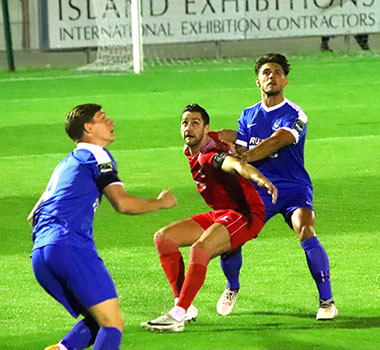 And Tring was involved moments later in the key incident of the evening on 52 minutes as he impeded the speedy Lee Barney to earn himself a second yellow card, having received an earlier caution for a handball offence, his cause not helped by the over-reaction of some of the home players. 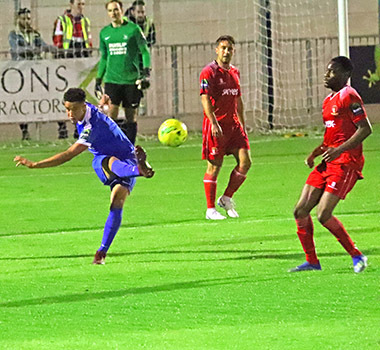 Ferguson was sacrificed for Ben Andreos as Woods looked to shore up the defensive line but they could hardly draw breath as Jalloh added a second goal on 58 minutes as he converted Barney's cross to the far post. 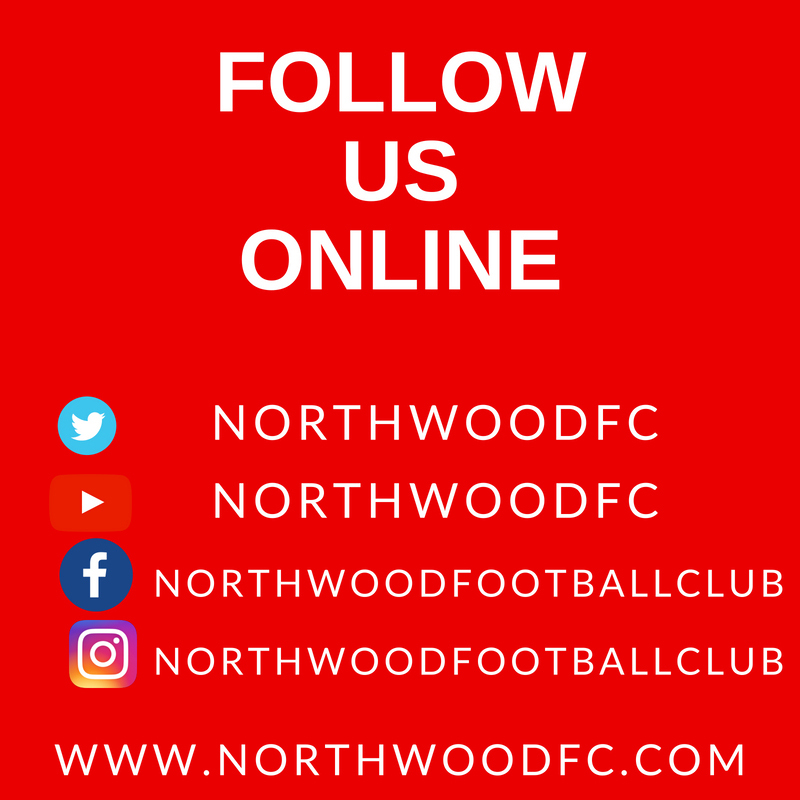 To their credit, Northwood continued to look for attacking options but they were undone on 63 minutes as a swift United counter-attack was finished by Culley to make it 3-0 with Woods looking in vain for an offside flag. 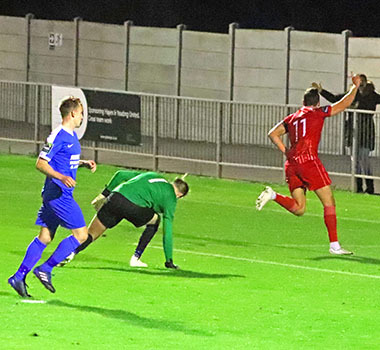 Perhaps that should have been the signal for damage limitation on the part of Northwood and time to get the ten men behind the ball, but they were undone again on 65 minutes as Culley headed home a Scott Bridges free-kick for his second of the evening. 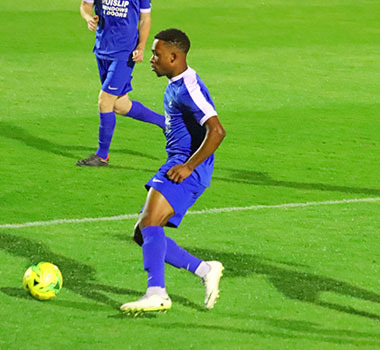 An increasingly demoralised Woods continued to offer the hosts plenty of space, despite the introduction of fresh legs in the shape of Kweku Conrad-Lucan and Jamie Fulton as United created a succession of chances. 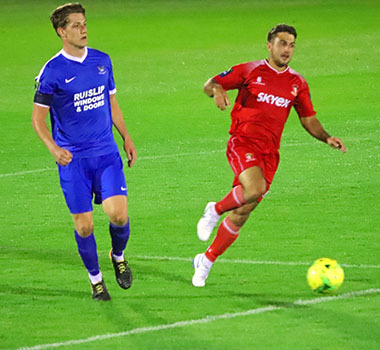 And the goal spree continued as the unfortunate Andreos put into his own net for the second own goal of the evening on 81 minutes before Josh Chamberlain completed the scoring a minute from time.